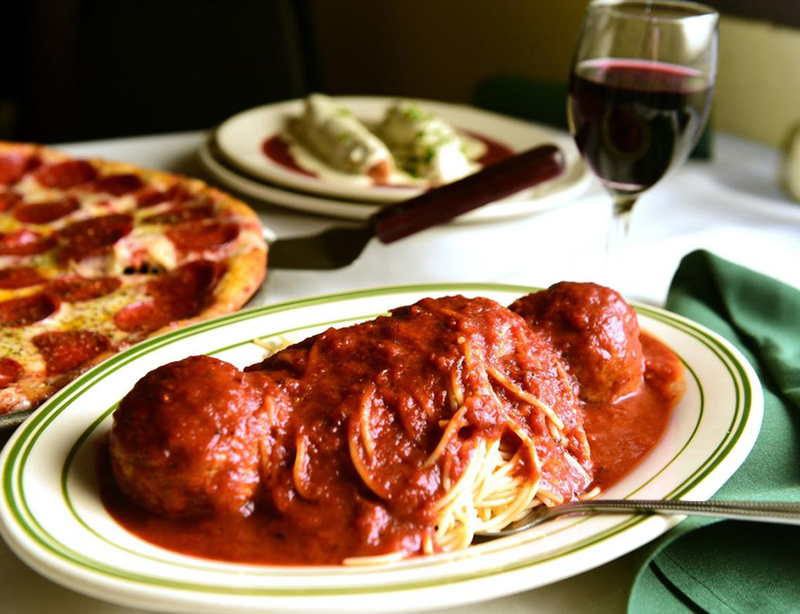 As a casual Italian hub for pastas, salads, sandwiches & creative pizzas in a modest setting, Roma delivers to New Orleans proper from their new location which used to be known as Primitivo. 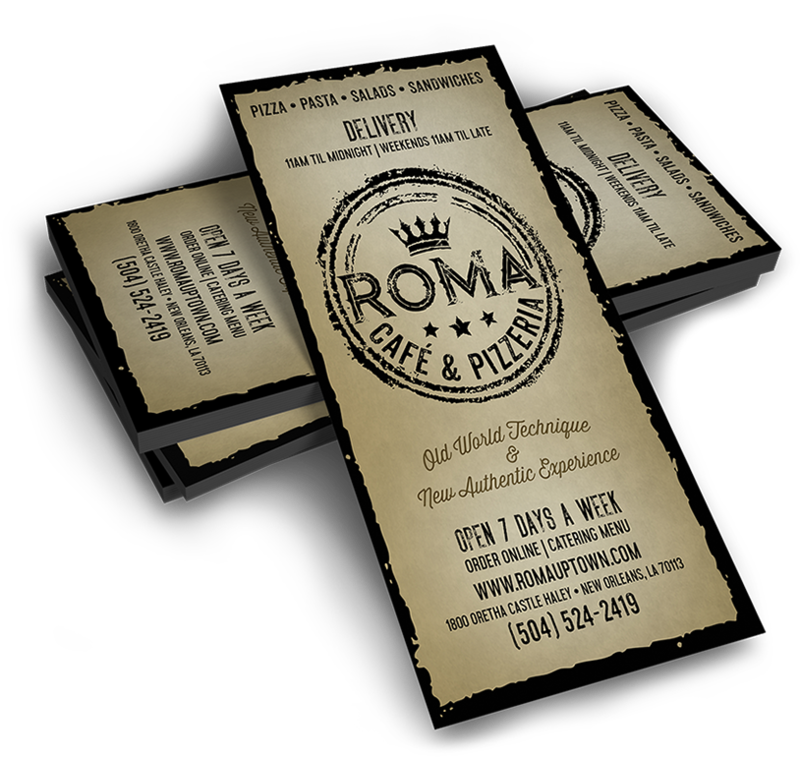 Order online at www.romauptown.com. 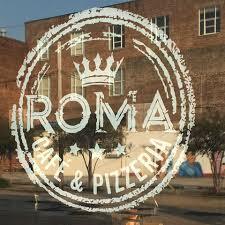 Established on Magazine Street for many years, Roma recently relocated to 1800 Oretha Castle Boulevard where the new logo can be seen printed on the windows of the Italian restaurant. 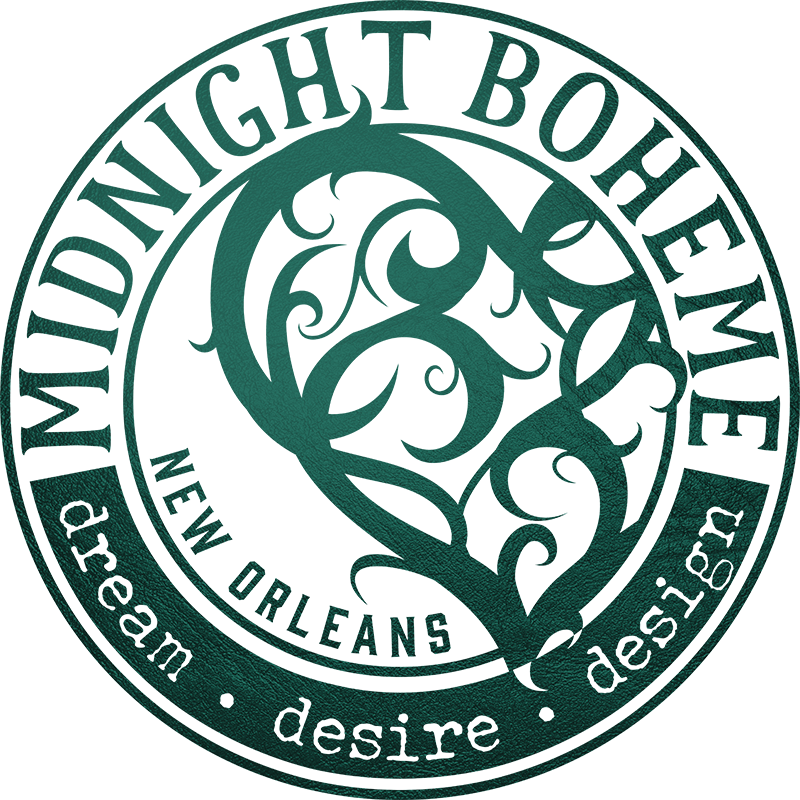 With a nod to the rustic age of old Rome, the owners of Roma met with Midnight Boheme to discuss the new brand of their café. 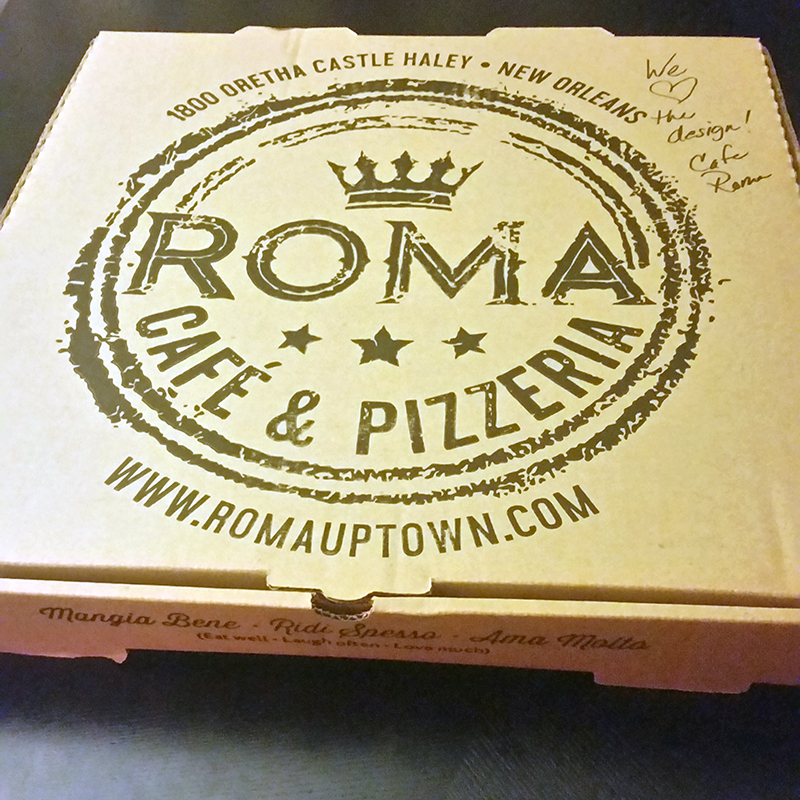 Known for being the king of good pizza in New Orleans, the restauraneur wanted to covey a sense of royalty in the logo design, so a crown and stars are now a part of the brand. 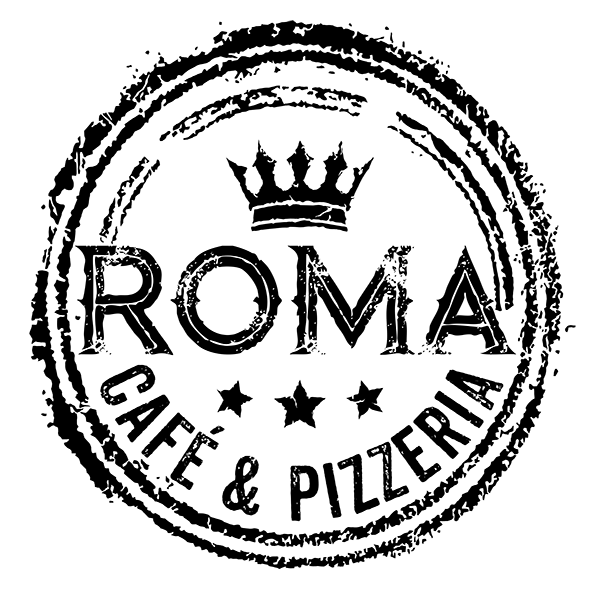 The new logo can be seen on the staff t-shirts, menus, and window clings on the exterior of the building on the boulevard. 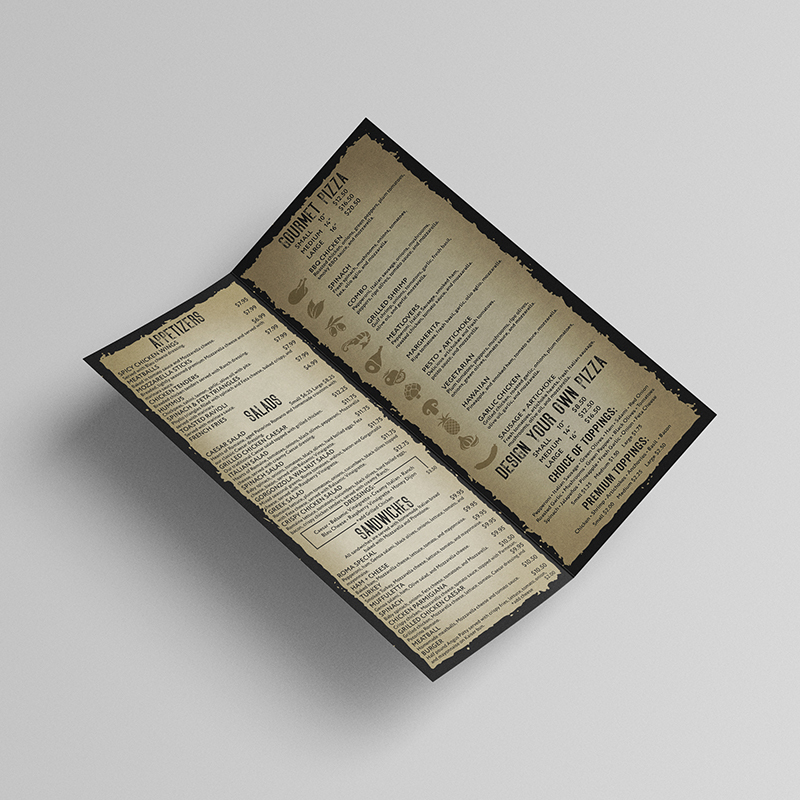 Keeping with the new brand of rustic grunge, the menus list all the Italian cuisines complete with food icons to list the pizza toppings. 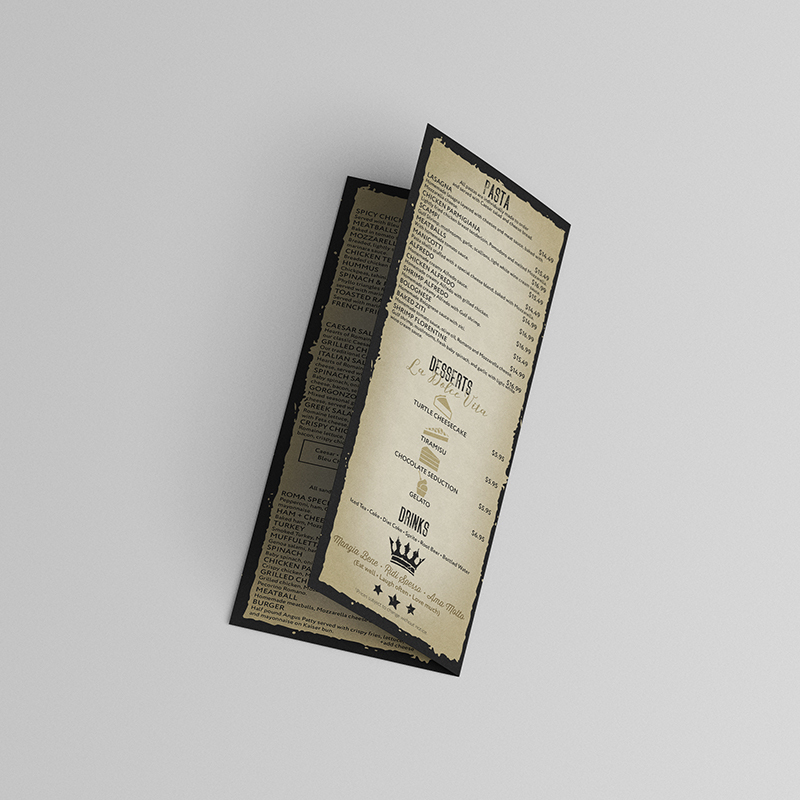 Similar to the trifold menu, the in-house menu keeps to the new look and feel of Roma and its menu items. 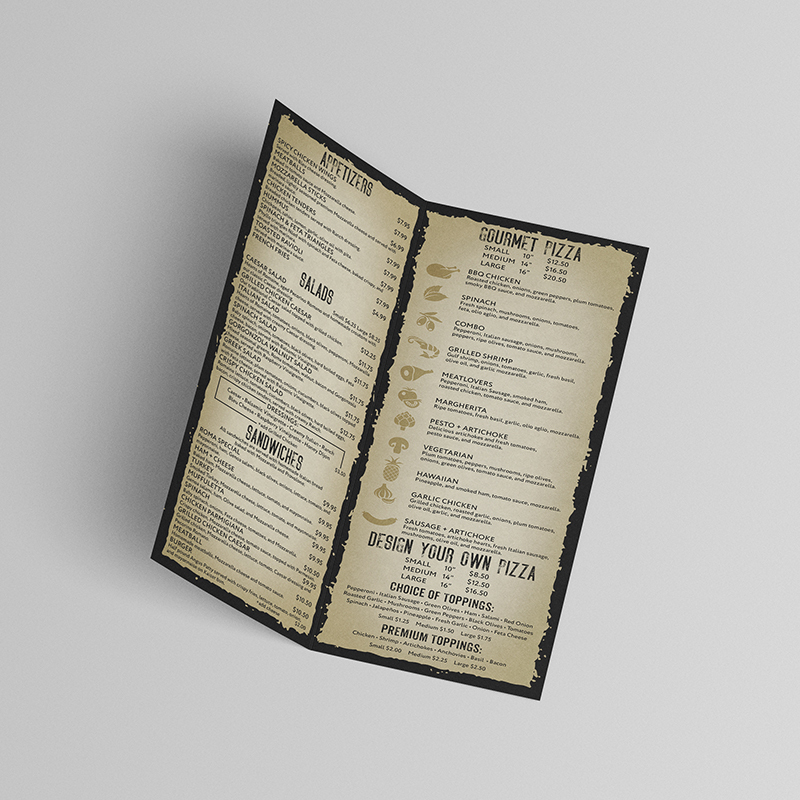 Nothing says good pizza like a good pizza box design! 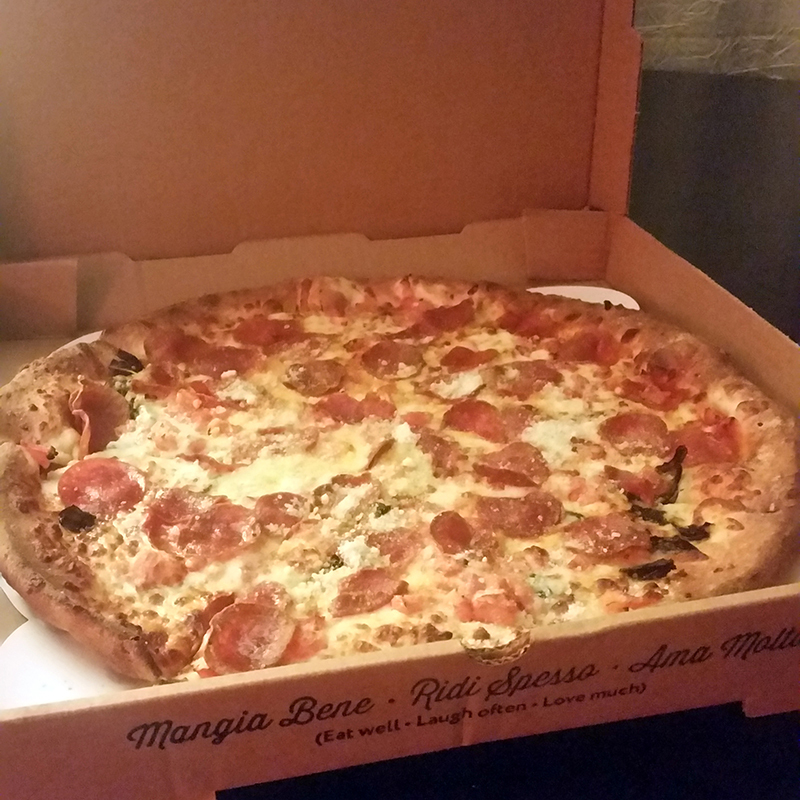 Midnight Boheme is proud to present the printed logo and special Italian phrases on the uniquely designed pizza to-go boxes. Order delivery today and see the box! Upon ordering her own delivery, Laura was pleased to see the café owners even wrote her a special note, "We (heart) the design!"